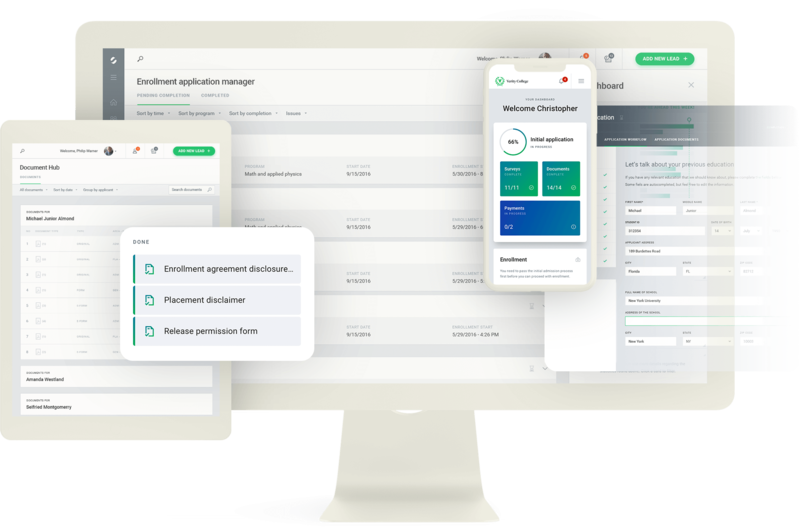 Configure enrollment workflows, manage applicants, e-sign documents, take online payments, and access document hubs. I would like a demo to learn more about your product. Manage inquiries, connect with prospective students, manage enrollment workflows, and receive online applications and payments. Being one platform for records management, communication, and sales automation, Verity works hard on behalf of the end user to avoid missed opportunities, reduce manual effort, as well as eliminate inconsistency and redundancy in daily tasks. The paperless approach to the admissions process ensures compliance and improved overall experience for admissions staff and applicants. Powerful features enable teams to track and measure each inquiry at every milestone in the lifecycle. Built-in calendars, central notes and contact hubs, as well as detailed system activity logs, give deep insight into inquiry activity, while built-in scorecards and dashboards reveal performance at a glance. Multi-channel communication is at the heart of Verity. 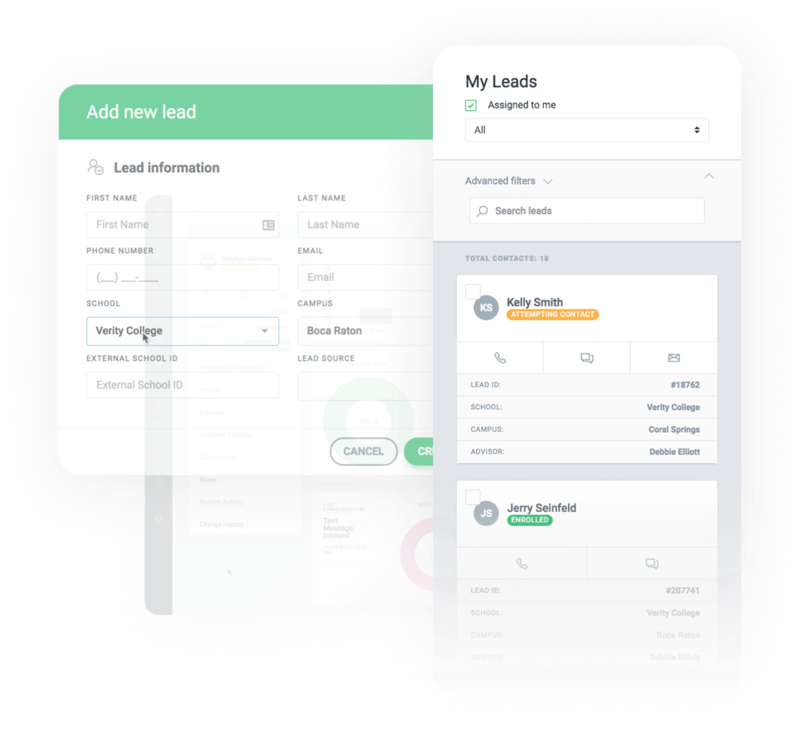 On-demand and scheduled phone, text, and email campaigns allow teams to target the right audience on the fly. 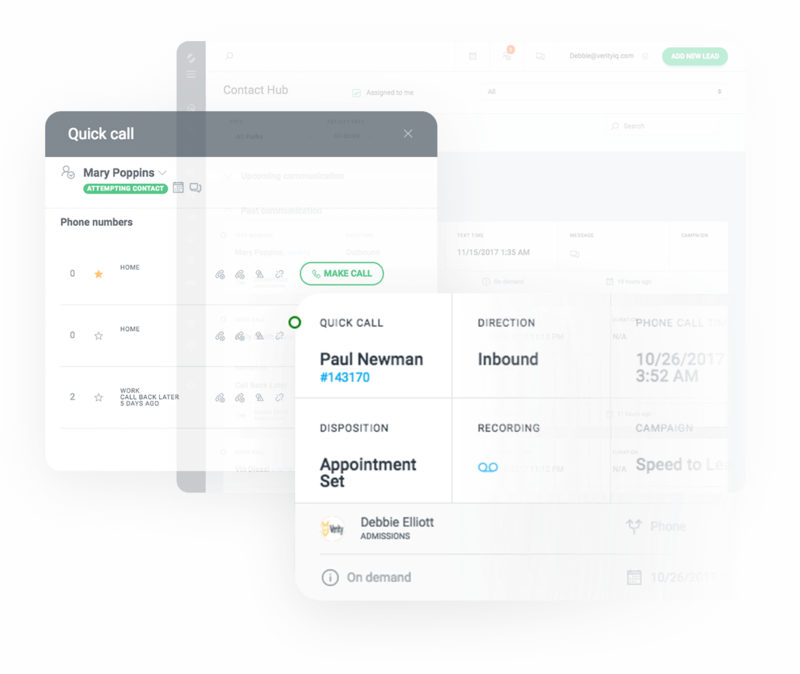 Outbound and inbound calls, conferencing, call recording, call transfers, and voicemail are all built-in to facilitate optimal contact and follow-up. Simple workflows for program document requirements and signature approvals enable the institution to streamline the application and enrollment process for staff and applicants. On their portal, applicants would follow easy steps towards completing the application, while the admissions team would monitor progress and approve each submission. Experience the future in inquiry management, communication and admissions.